We work really hard to source only the best quality trees for our customers and with so many return customers saying great things about our trees, this effort really pays off. Below are a some testimonials from our customers over the years. Have something to say about the tree you bought from us? Simply send us a few words about your tree along with a public link to a photo of your tree on Facebook or Twitter, or upload your photo directly to us and we'll put it online for all to see. Diane is one of our regulars. Very pleased with the tree delivered to her this year. No pruning or shaping needed - perfect as it came out of the netting! 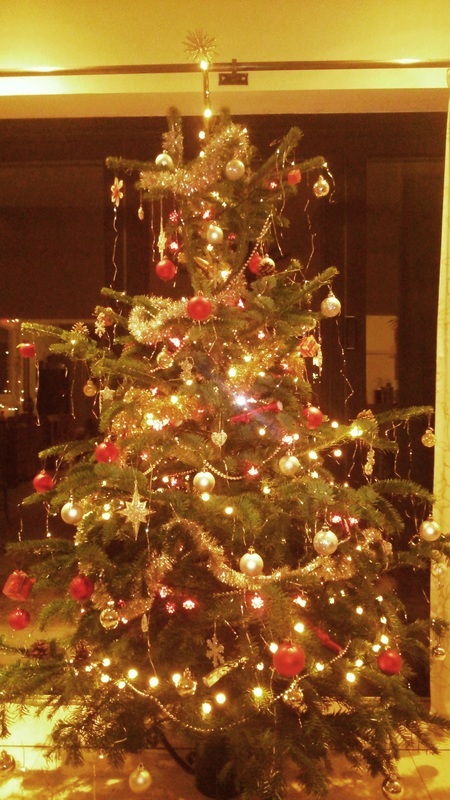 The Holland family from Bookham sent us this cosy picture of their tree by the fireplace. 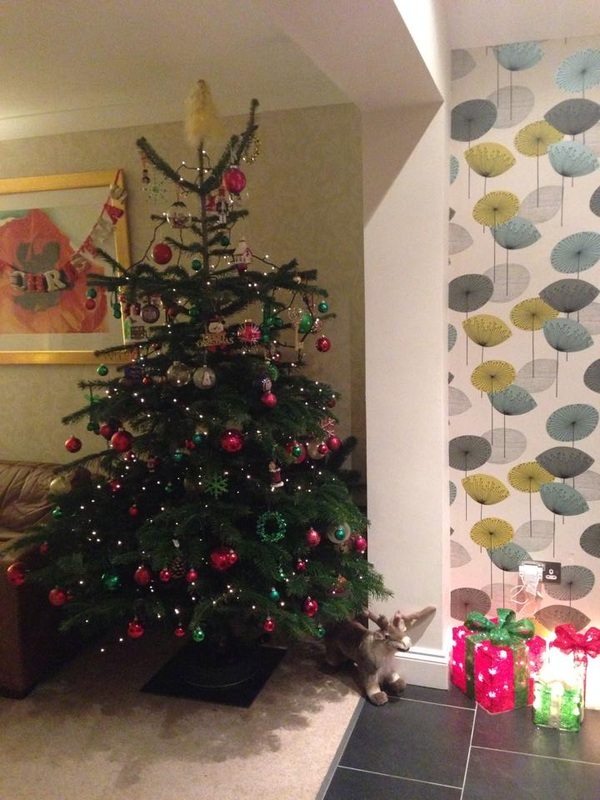 Sarah Houghton from Ashtead was very pleased with her tree and she sent us this photo. Looks great Sarah! Bridget is the Chairperson at Cuddington Community Primary School PSA who joined up with us as one of our affiliates. 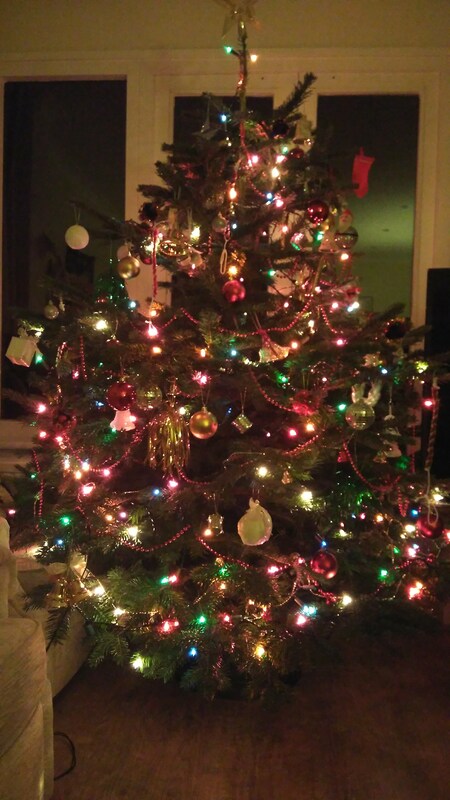 She sent us this picture of their tree. 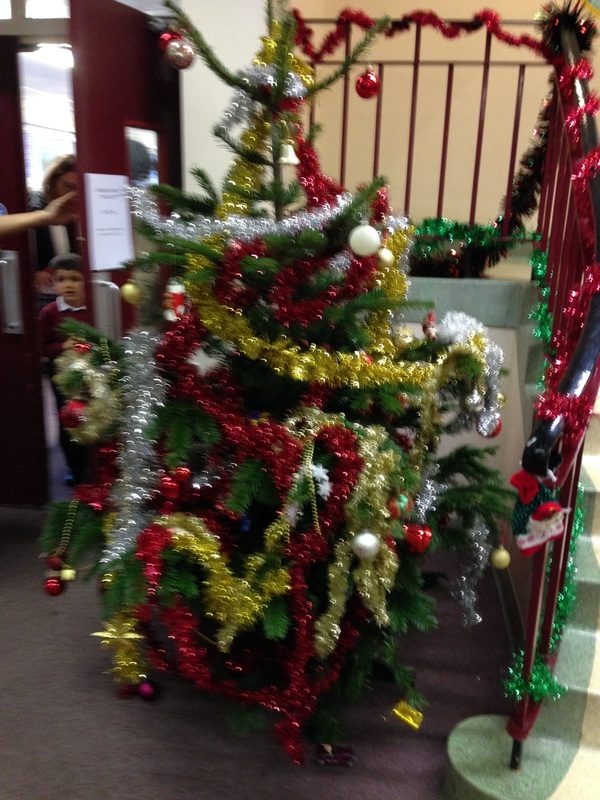 ​This was the tree after being decorated by the reception children aided by their buddies in year 6! Thanks for sending this in Bridget; the pupils certainly get marks for enthusiasm! 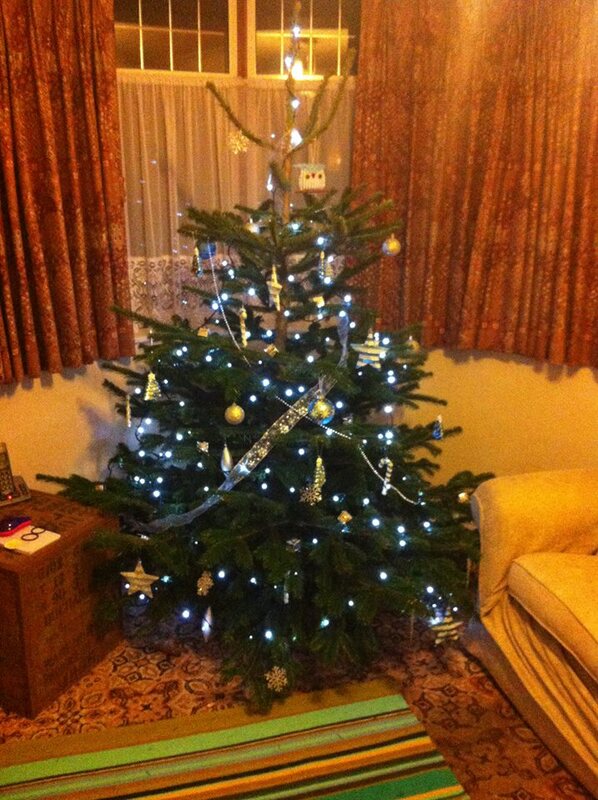 Diane sent through a photo of her tree which was delivered to her on Saturday. It's a very lovely tree. Thank you picking this one. One of our Leader's send this photo through of their friends tree. 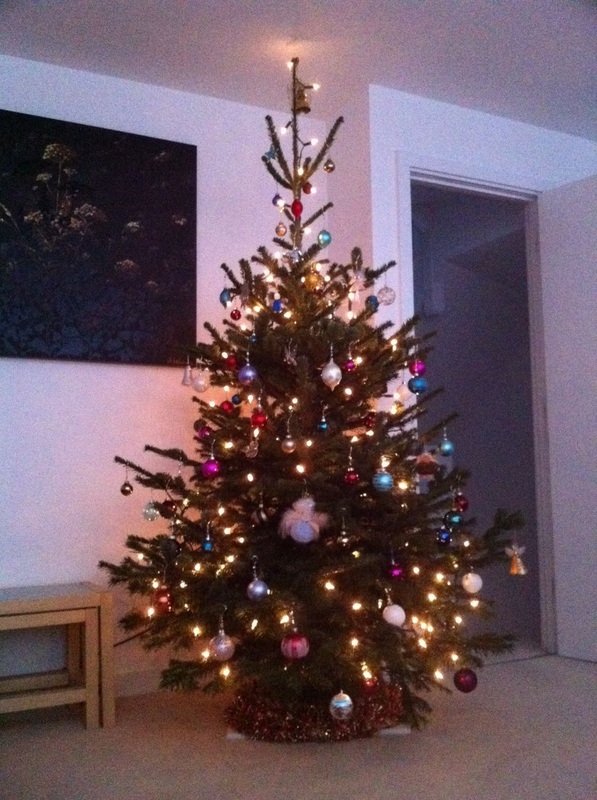 My friend sent me this photo of the tree they picked up from us today looking very beautiful. They were really impressed with the group and how professional it all was, but also that they got such special treatment from our helpers. Credit to everyone indeed! 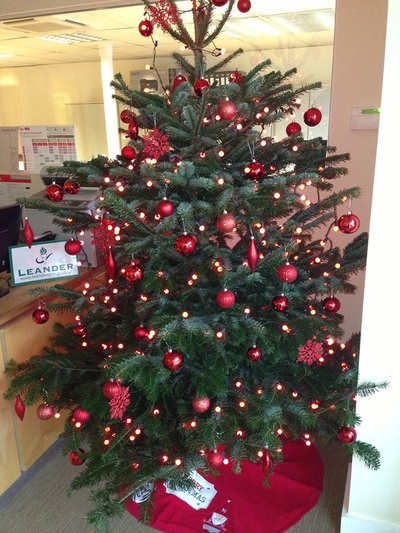 Nicholas sent us a photo of the tree he ordered from us for his office. A very artistic shot there Nicholas. 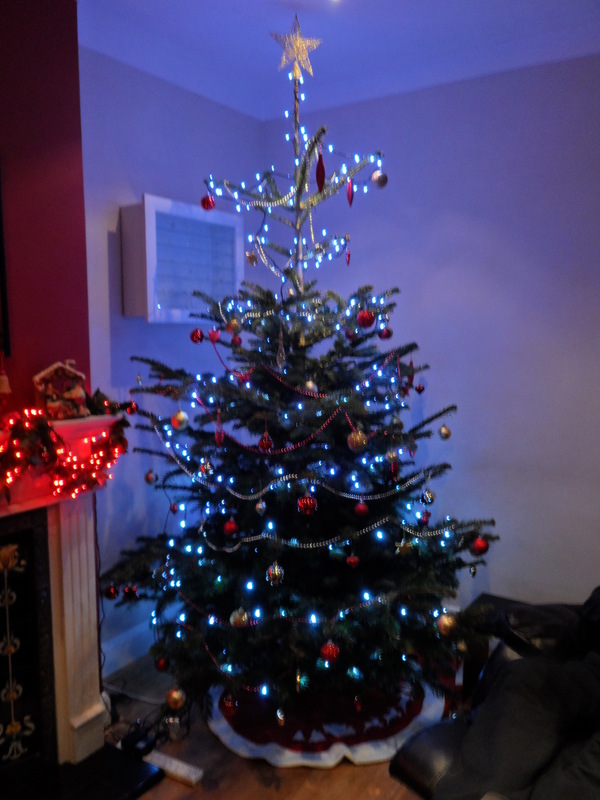 It'll look even better once you've got the lights, tinsel and baubles on! "Thanks for delivering us such a perfect tree. We'll definitely be back next year!" 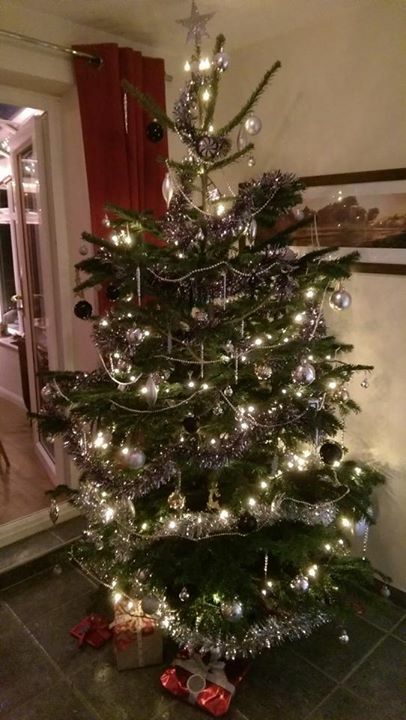 Alex was one of our 'early bird' customers in 2015 and sent us this picture when he was decorating his tree at the end of November! 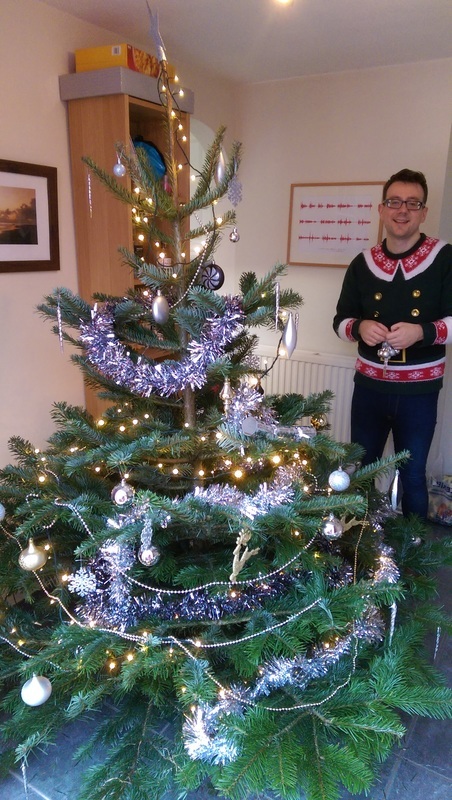 "This is a picture of me decorating our tree taken at our annual 'Psychological Christmas' party; a Christmas tradition with my fellow Psychology graduates from University. The tree is perfect and really gets everyone in the festive spirit. 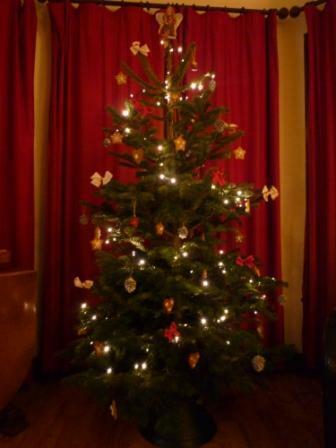 Thanks for getting us such a perfect tree and in time for our party"
Alexey sent us a photo. One happy customer. "Third year getting our tree from, another beautiful one thank you." 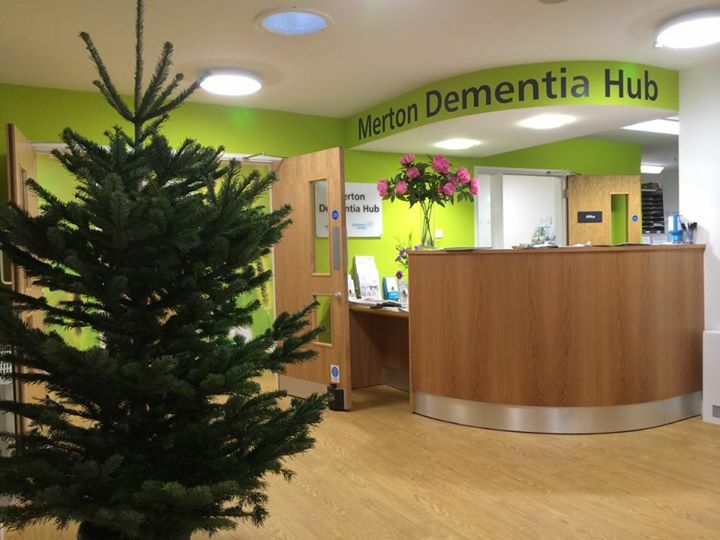 We are pleased to report another happy customer, this time the Alzheimer's Society at the Merton Dementia Hub had their tree funded by Zurich Insurance. We think it looks lovely in their modern reception. 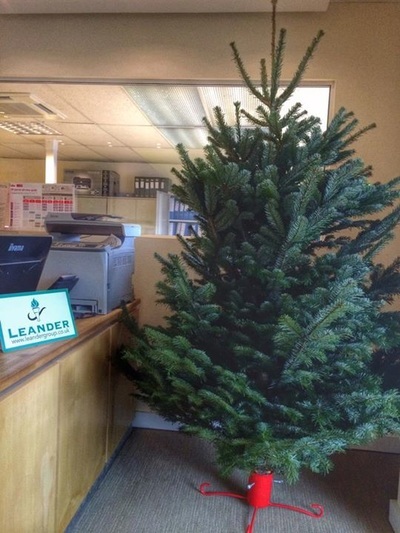 Leander Group in Leatherhead took delivery of their 7ft Nordman Fir today to bring some festive spirit to their reception and a great aroma. Thanks Leander Group - we hope it looks great once decorated. "And here is the tree in all it's glory! Would you agree it looks great?" 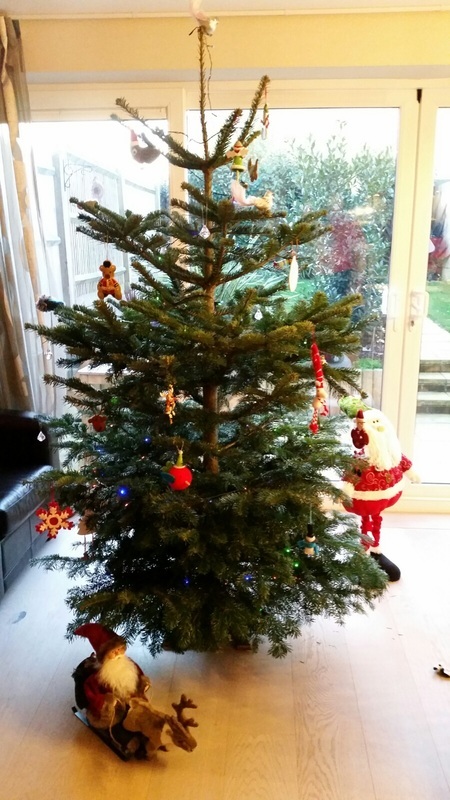 The Kilian Clan from Ashtead sent us a photo of their tree purchased from our sale in 2014. 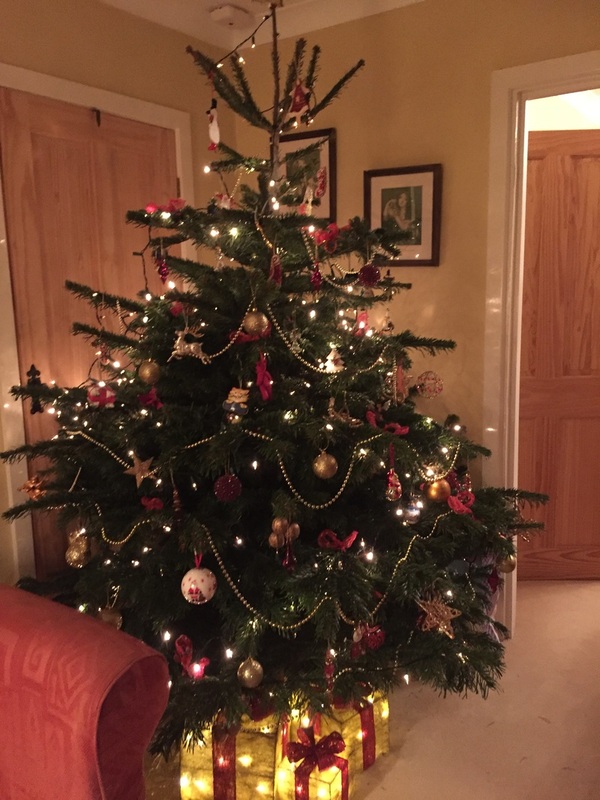 "A lovely tree, chosen with the help of a very friendly lady who asked us what we wanted and found it - she obviously knew her stock and got it immediately. We've had a great time decorating the tree listening to carols and getting up a ladder to put the star on the top, it looks amazing. Red and silver this year! This is the first time we've bought from you but we have already broadcast how good you are to all our friends, and we'll definitely be back next year. We especially liked the fact proceeds went to charity." 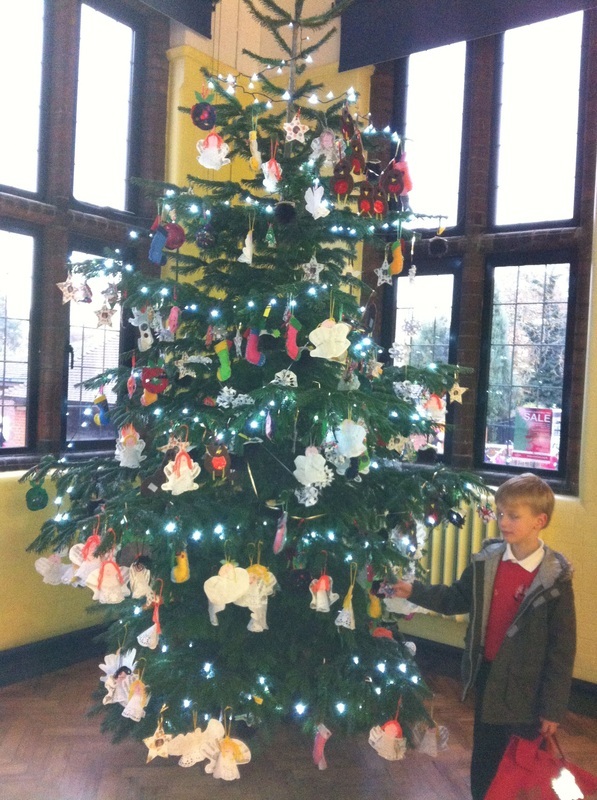 ​Thanks to Bev who shared a picture of the 12ft tree we supplied to Ewell Grove school which was decorated by the pupils. 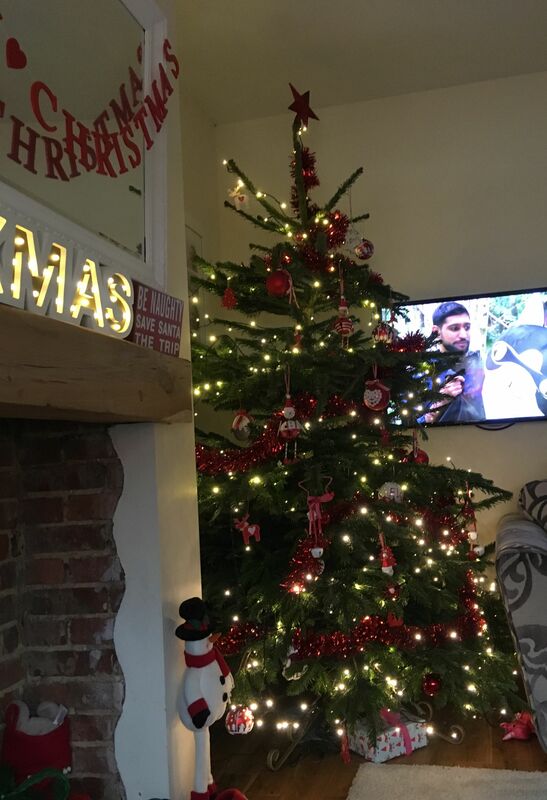 ​Excited Chris is the first customer of 2014 to share with us a pic of his tree taking pride of place in his living room. Don't forget to keep the room temperature down Chris and give it a good water every day - these fresh trees can consume over a pint of mother natures finest every day! Diane from Bookham is a return customer. Only 4 words needed to describe her tree this year. 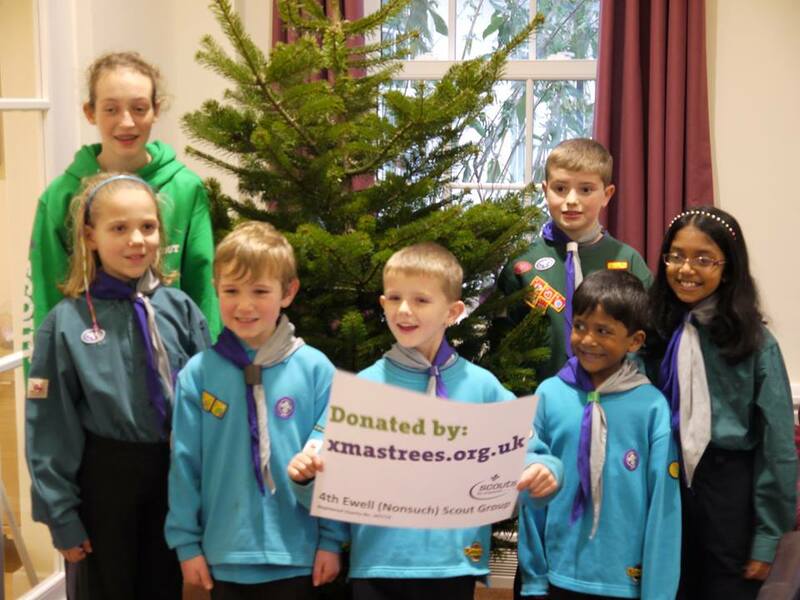 "Nice trees & great welcome"
4th Ewell Scout Group is delighted to have donated a Christmas Tree and stand to The Children's Trust at Tadworth Court. The idea was born when a couple of Scouts in the Group thought it would be nice to brighten up the Christmas of others at this joyful time of year. "That's a great donation and one which will be hugely appreciated by the children!" It's nice to hear how our efforts in making sure you get a great feature-piece are appreciated. 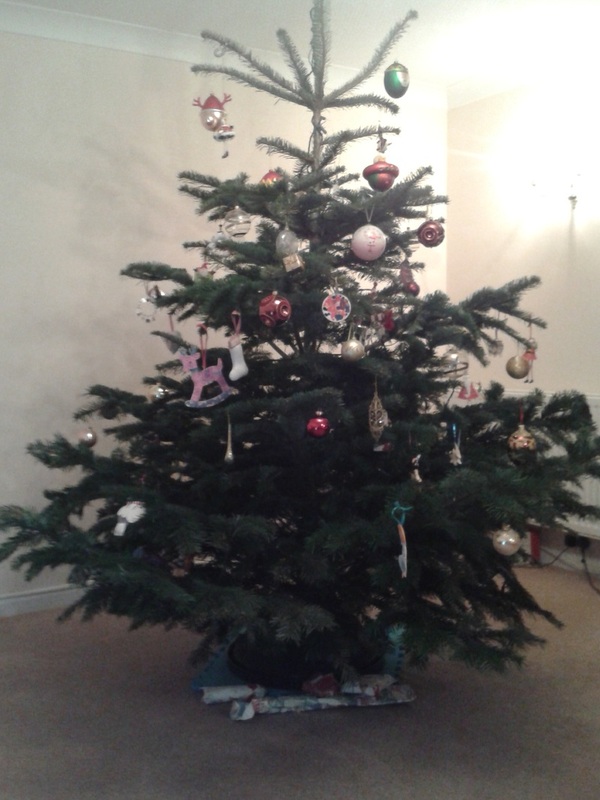 "Thank you for the beautiful tree which is now standing pride of place and fully decorated. It looks and smells amazing and is drinking lots of water. We usually buy from well known local garden centres but will now be buying from 4th Ewell every year as the quality and look of the tree is far superior. Thank you once again and merry Christmas." Elaine and Carly are return customers. 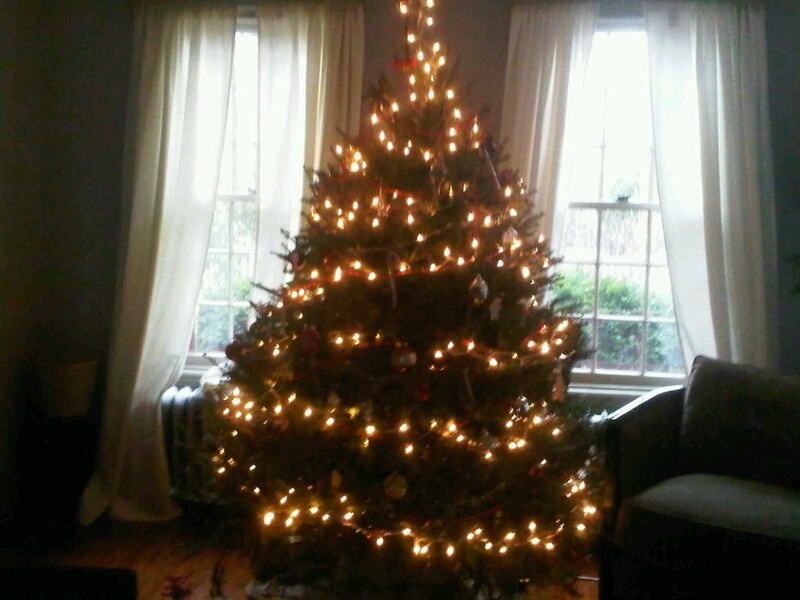 "Brought our tree yesterday even nicer than last year! We love it, we keep looking at it. Hope the rest of the sales go well, they are lovely trees, telling lots of people about you. Emma had her tree delivered. Thank you ever so much for our lovely tree! Looks fab!! Will be ordering again next year!!!" Rachael ordered her tree online. We followed her instructions and found the perfect tree for her. 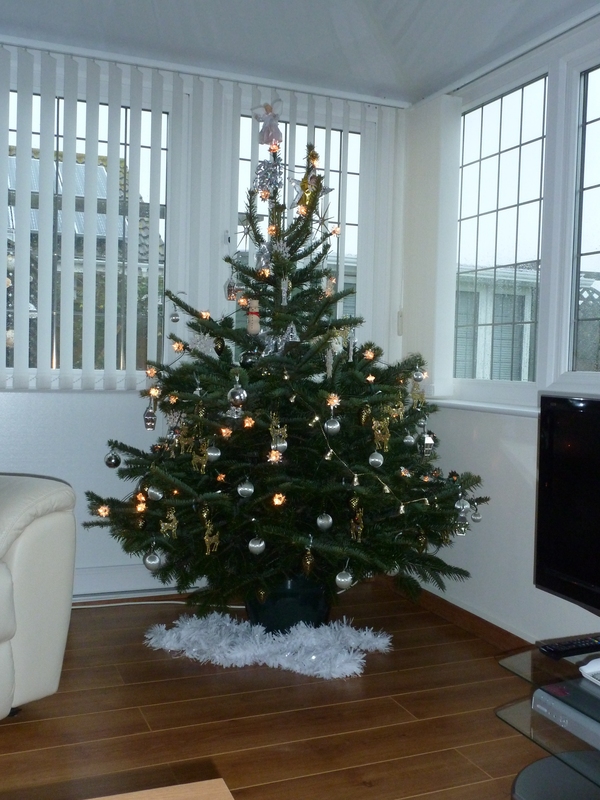 "Just a quick email to say thank you so much for picking us such a lovely tree, delivered yesterday whilst we were out. Canadian anxieties over. It is perfect. Hope you had a productive weekend and same for the next - again raising lots of funds. 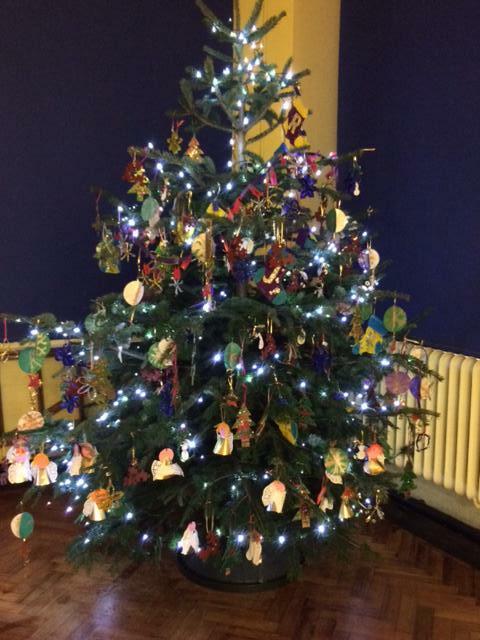 Ewell Grove Infant School were very impressed with their 12ft tree prominently displayed in the school hall with over 300 hand-made decorations! This one made us chuckle. 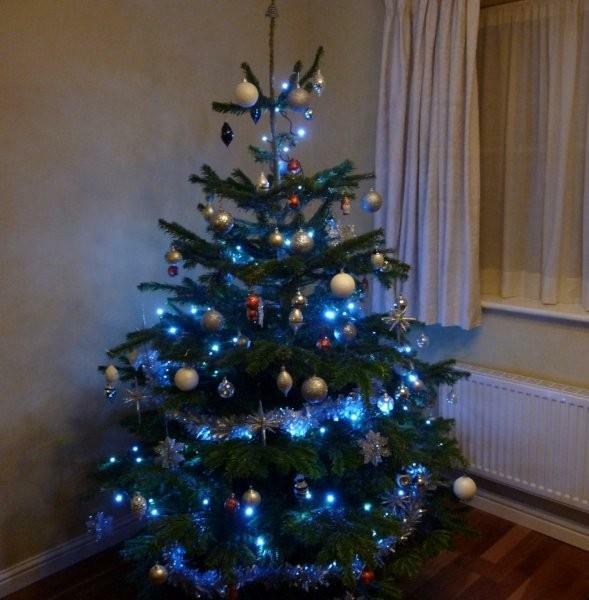 The tree didn't actually come from our sale but the photo was sent through by one of our friends, Debbie, who was after a little bit of TLC for her tree. The xmastrees.org.uk team were only too happy to help and her tree is now standing tall. If Debbie had come to our sale at 1 Bluegates, Ewell, we would have prepared the stump of her tree so it would fit perfectly in her stand. That's all part of the service here at 4th Ewell. 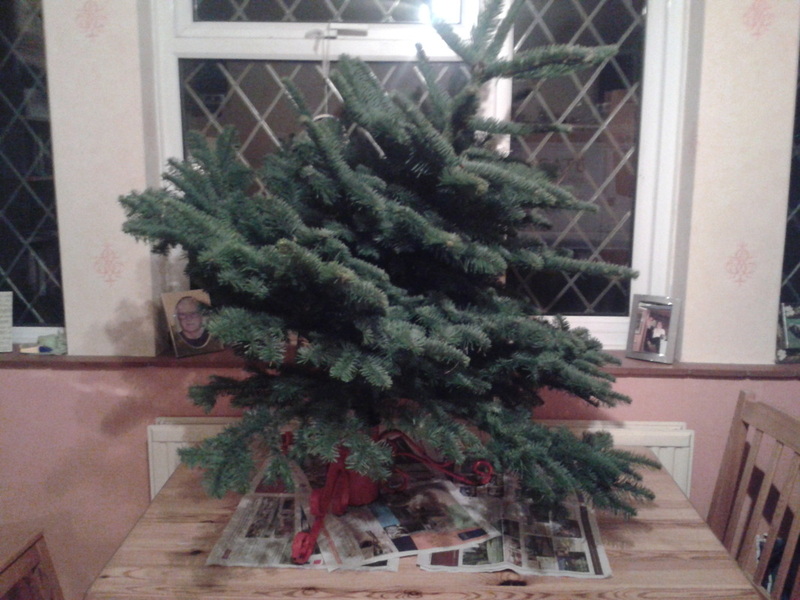 This customer came all the way from Bookham to get their tree. 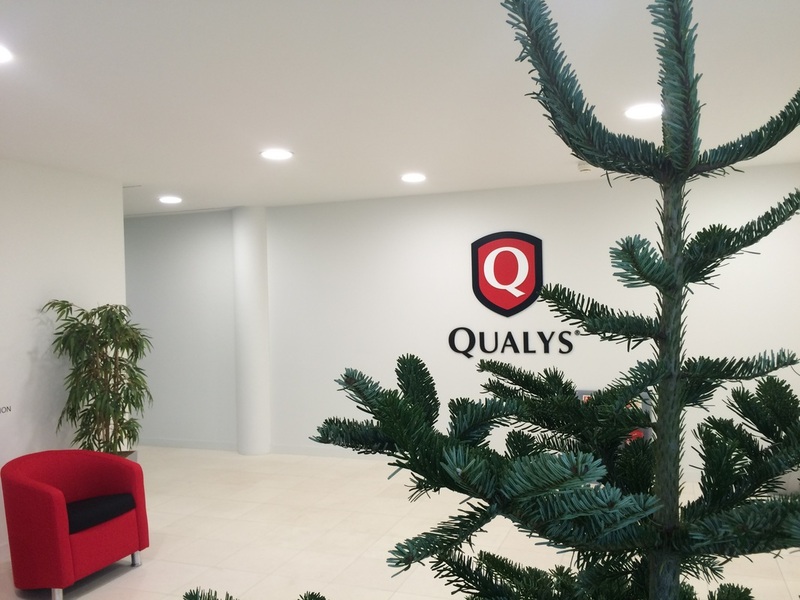 "As soon as I drove in I knew this was the place that I'd get my tree from. There were hundreds on display so after a good rummage around with help from the volunteers and their young assistants I went home with exactly what I wanted. I'll definately be back again next year!" 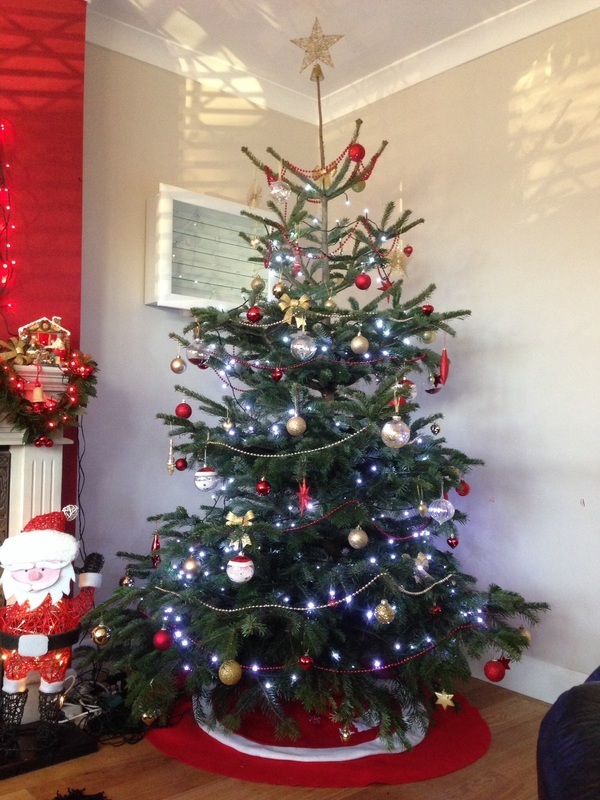 Salty Towers came all the way from West Sussex on December 9th to purchase a tree for their staff lounge. 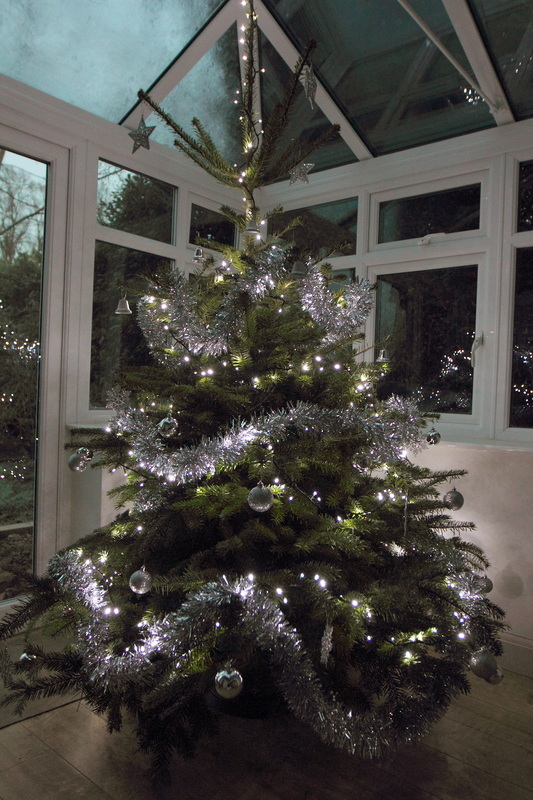 "We were glad that we also purchased a tub stand which not only made installing and supporting the tree very simple, but has kept the tree in tip top condition by making it very easy to water everyday." 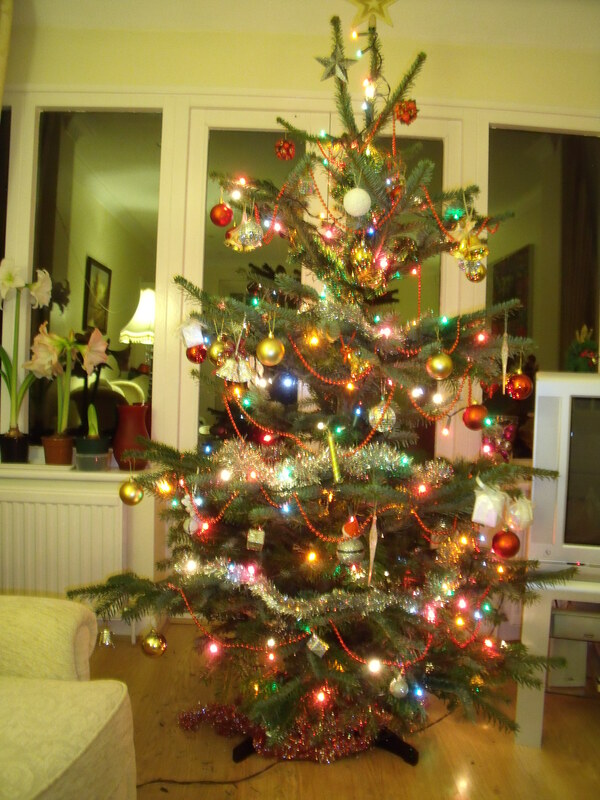 The VT's tree, positioned in a conservatory was bought on the 9th December and decorated by their three children. 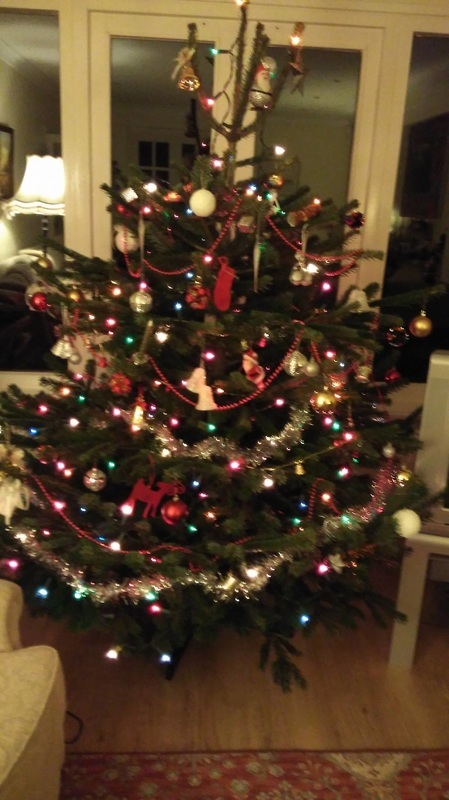 "We're surprised how much water the tree can drink each day; it just goes to show how fresh it really is - thanks 4th Ewell and we hope you raise lots of money for the group this year. We'll definitely be back again next year!" The Sprinings family from Ewell didn't delay in decorating their Christmas tree which they bought from our sale on 8 December 2012. 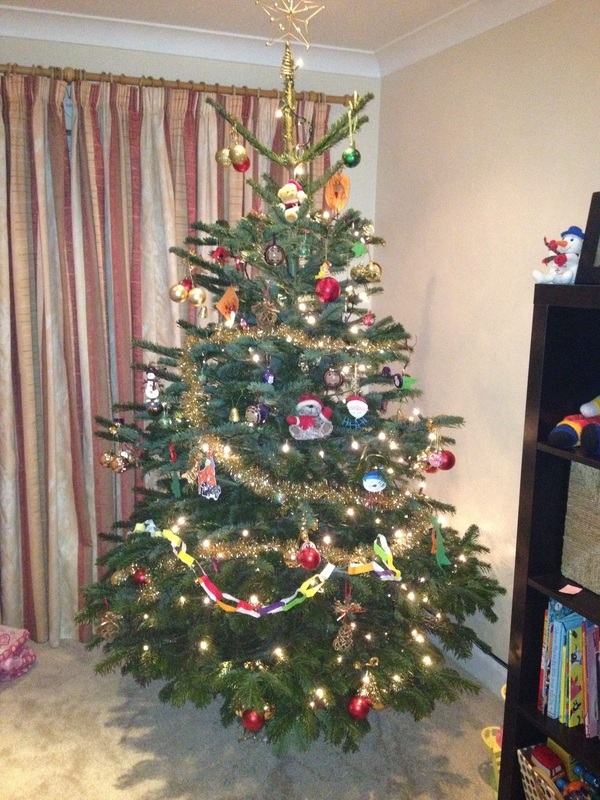 "Perfect tree, decorated by our 3 little ones!!!" 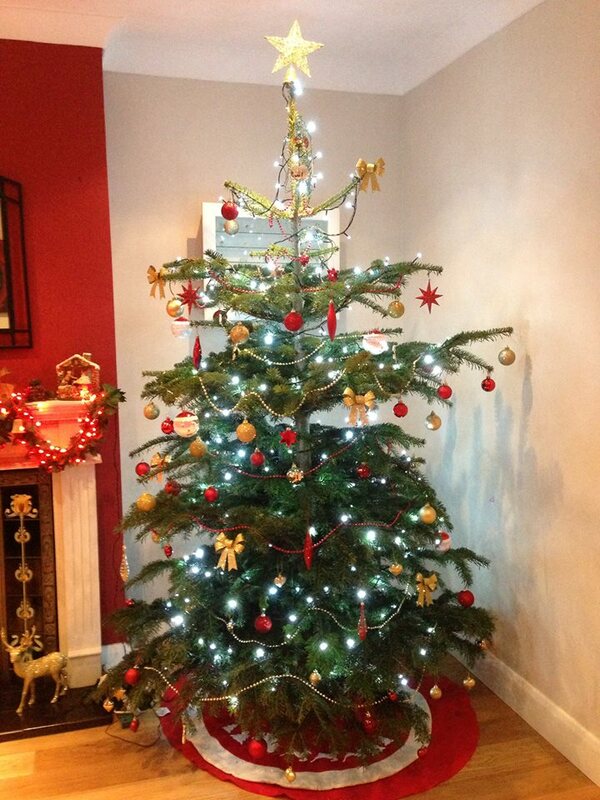 Here's a photo of the Newland family's tree from Stoneleigh. They bought their tree at our sale on 8 December 2012. "It took us 2 hours to decorate our beautiful tree we got today 8.12.12, simply the best tree we have ever had, cant stop looking at it." _ The White family's tree was placed on their first floor living room over looking the gallery. "The smell in the morning was a real inspiration for getting out of bed." The Yule family from Nonsuch didn't delay in getting their tree home and decorating it. 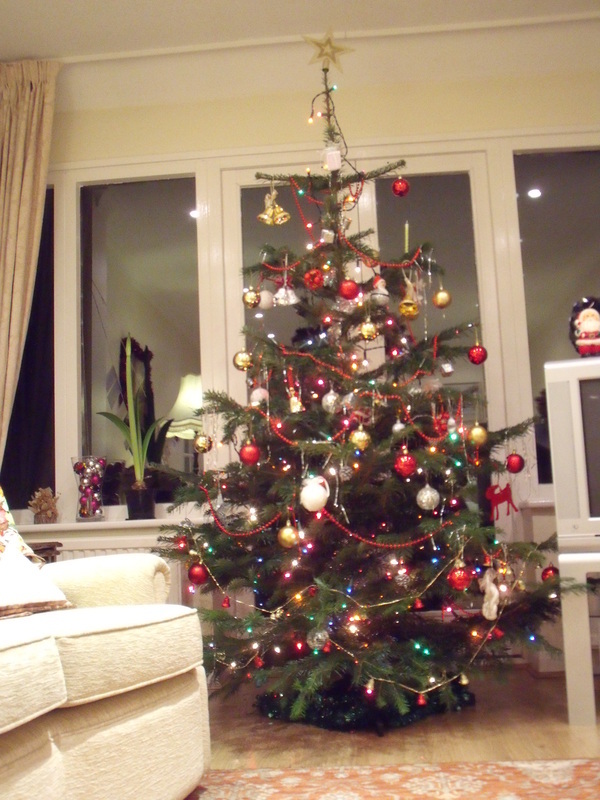 "It's the first time we've had a real christmas tree and we love it!"